Summer has arrived and with it the promise of sun, fun and time in the garden. BBQs and parties are summer regulars in many homes, so why not add a fire pit to your garden? It’s a fab feature that is sure to keep your guests outdoors for longer. They come in a variety of shapes and sizes and can be fuelled with charcoal or gas. We’ve got a range of ideas that we think will result in a fun visit to your local garden centre! If you’re considering getting a fire pit, you need to think about where in your garden it will go. Remember, the spot needs to be one where guests can sit together comfortably. But, it also needs to be safe and easy to light and put out. Choose your area carefully. Or, if you have a few areas where a fire pit could go, consider buying one that’s suitable to move around. There are plenty of options out there, so if this is priority that’s fine too. There are numerous shapes, sizes, weights and colours of fire pits, so the option of finding one you like and that will also go where you want it to, is pretty high. You can have small circular ones on legs that are stylish and easy to move around your garden. 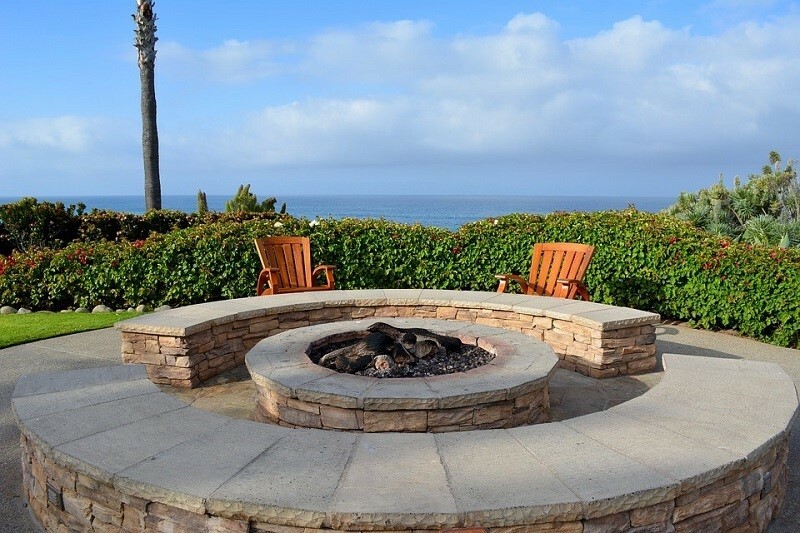 Or, there’s the option of a built-in stone fire pit that has the real wow factor. Another alternative is a smaller one that’s part of a bigger table. If you’re not happy with the make the fire pit fit your garden idea, how about creating a whole new garden and incorporating a fire pit as a central part of the design? It’s a big project, but it’s one the whole family can be involved in. And, it will help brighten up your garden and encourage you to spend more time out there. From cool and contemporary to something a little more traditional, fire pits can become the focal point you’re looking for and add some real flair to your outside space. Of course, while you want your garden redesign to look good, it has to be practical too. Don’t lose sight of that when you’re checking out all the amazing fire pits that are on offer.